Hi, I am a Top NZ Award winning tradesman upholsterer with over 25 years experience in Furniture Upholstery and restoration. From antique chairs and family heirlooms to modern lounge sofas and chairs, I've got it covered. I am the owner of nenes upholstery and operate a boutique style business from my home. I also make custom design headboards and bed end boxes. 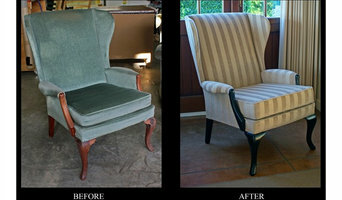 Re-Upholstery and one off re-furbished pieces. I also teach Upholstery at my local high school. Essentially, upholsterers work with fabric to cover seating, bedsprings, cornice boards, pillows and other furnishings and interior elements. They also might attach or replace padding and batting, trim a piece with fringe or another border, add piping and tufting, fashion slipcovers and refinish wood. Some upholsterers are skilled at furniture construction and repair. They can also advise you about the pros and cons of different fabrics so you can choose the best type for the project in your Hamilton home. Find an upholsterer on Houzz. 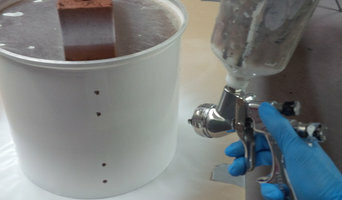 Narrow your search in the Professionals section of the website to Hamilton, Waikato upholstery. You can also look through Waikato photos for projects similar to yours, and contact the designer for upholstery information.